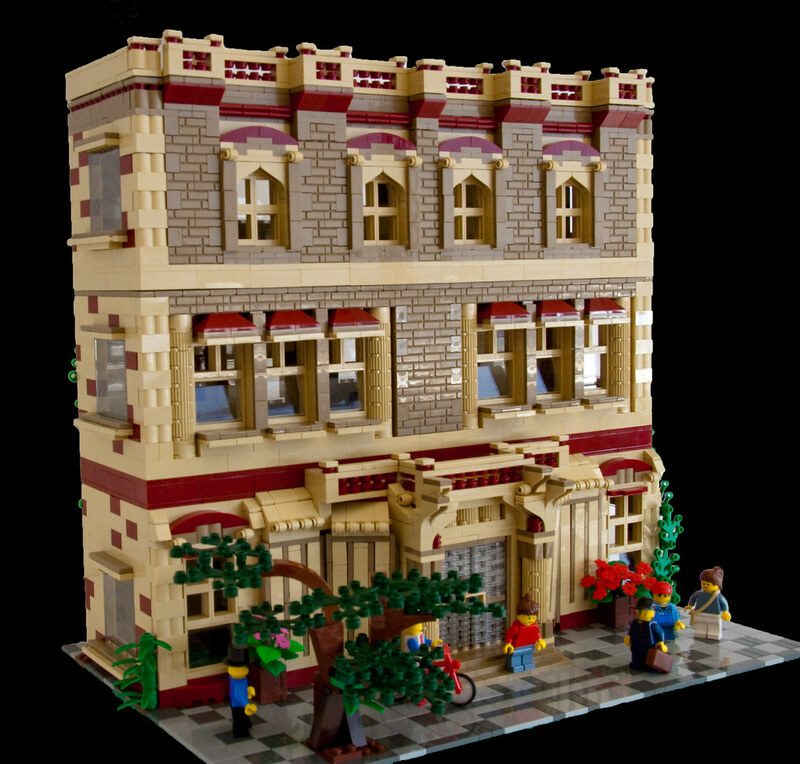 Brick Town Talk: Homely Hospitality - LEGO Town, Architecture, Building Tips, Inspiration Ideas, and more! Texture Corner- (BTT) Hotels. The home away from home for many a weary traveler. What makes us love them so much? The warm, supple bedding? The free, delicious breakfast? Or the helpful, kind staff? Whatever it is, hotels are often a great place to spend the night during one's travels, and this one is amazing as well! The unique plated glass doors, the great use of the 'brick brick', the foliage creeping slowly up the side of the building are all excellent. Let's just hope they have enough supplies for an extended stay!